On the surface, one luxury home doesn’t look a whole lot different from another. However, while every high-end home possesses a grand exterior, interiors can contain some subtle but significant design differences. That’s the case with 64 Brookstone Pl., Cory Kehler of RE/MAX Professionals says. 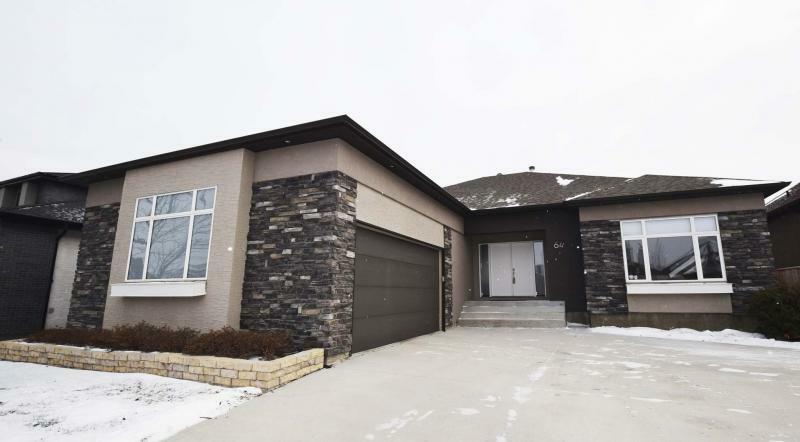 "This is not your cookie-cutter, walk-out bungalow," he says of the 1,995-sq.-ft. residence, which was custom-built by Parkhill Homes in 2010. "It has several design features that separate it from other homes in terms of what it offers." The first design difference is an important one, Kehler says. 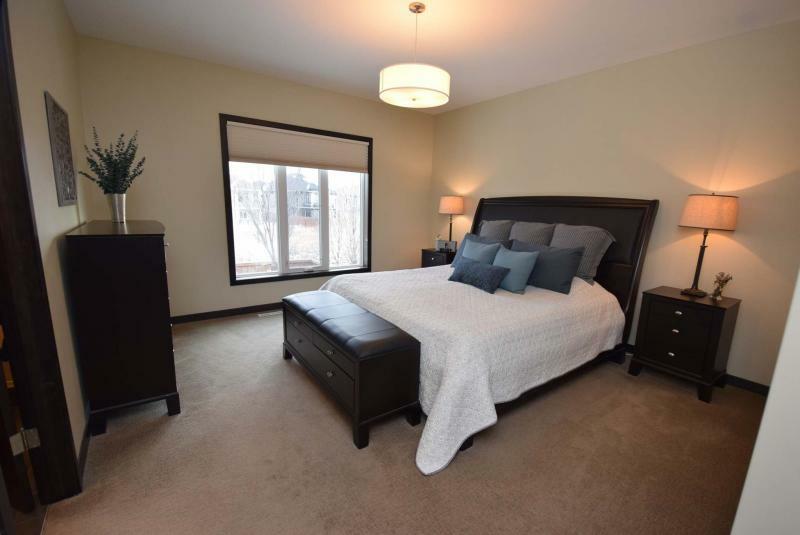 "Unlike most of the walkout bungalows in this area, this home has three bedrooms upstairs. Many in the area have only two bedrooms on the main floor, a design feature that might work for empty nesters, but not for a family. With three bedrooms on the main floor, this home is ideal for a young, growing family." 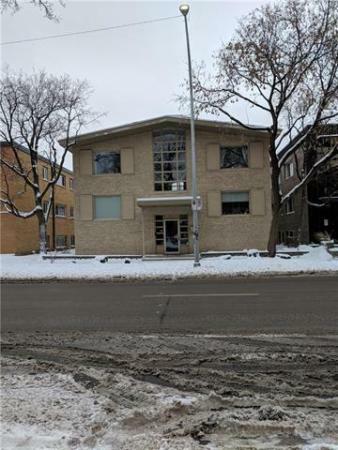 Another two bedrooms can also be found downstairs in the walk-out basement, a feature that makes the spotless bungalow that much more family-friendly. "Currently, one bedroom is being used as an exercise room, but it could easily be converted back to a bedroom," Kehler says. "The other bedroom is in a separate wing next to a gorgeous three-piece bath with tile floor and steam shower. Either bedroom would be great for a teenager." 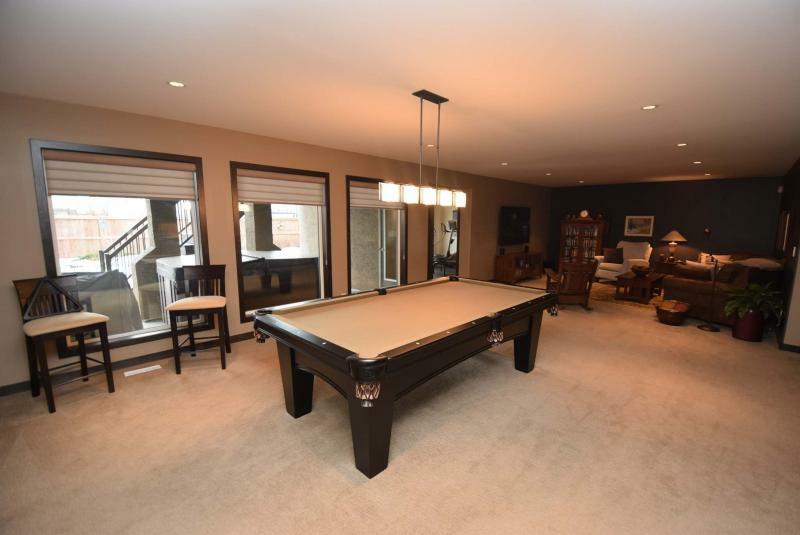 Meanwhile, the lower level’s huge rec room, which houses distinct media and games areas as well as a fully equipped wet bar, is a versatile space that’s ideal for privacy-seeking teens to watch movies with their friends, or, conversely, for entertaining. "A patio door on the rear wall provides direct access to a covered patio with hot tub," he says. "Unlike many homes in the area, it’s bordered by a wooden fence rather than a see-through chain-link fence. That affords you with complete privacy when you’re relaxing or visiting in the backyard. There’s also a green space reserve and walking trail in behind it." Ascend to the main level, and you find yourself in a spacious and tremendously warm main living area. "The great room is neatly separated from the tiled foyer by a two-sided see-through ribbon gas fireplace. It serves as a perfect backdrop to an area that features a perfect balance of space, warmth and natural light," Kehler says. And although the great room is an open-concept space, each space is pleasingly distinct. The kitchen is defined by a huge island that seats three, while the solarium-like dining room was cantilevered to create a natural setback that separates it from the adjacent family room. With its built-in TV niche and maple entertainment unit, the family room is an elegant space that’s ideal for watching a movie or visiting with guests. "I love the area. It has such a natural, warm, feel," Kehler says. 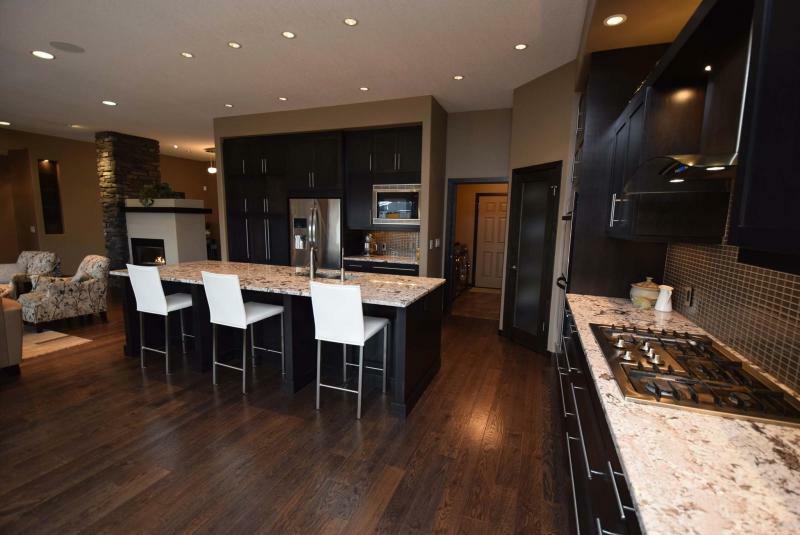 "The cappuccino maple cabinets, taupe/brown countertops and hand-scraped oak hardwoods create an inviting feel. Extras like a huge wall pantry, five-burner gas cooktop, water-filtration system and deluxe sideboard next to the dining room add utility. And the rear wall of windows lets in loads of natural light." Finally, there’s the master suite, a tranquil, secluded space that finishes off the main floor in practical style. 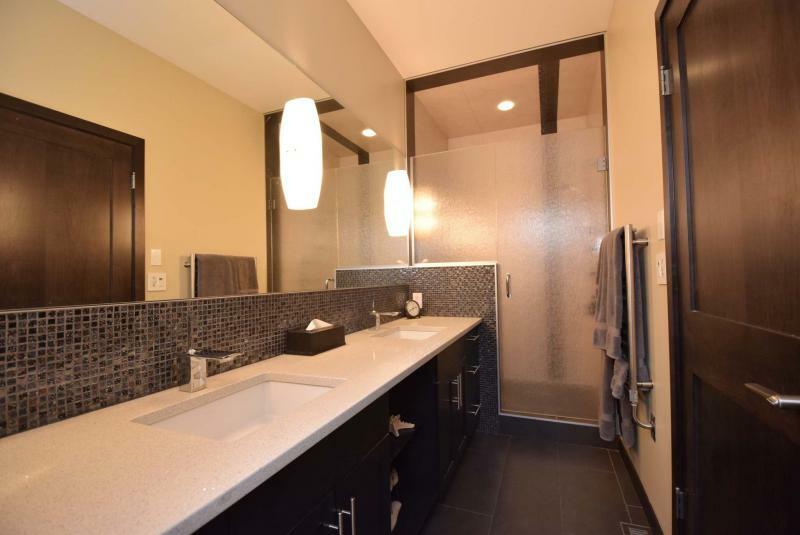 "It has his/her walk-in closets, a gorgeous ensuite with heated-tile floor, shower with waterfall glass enclosure, maple/granite vanity with dual sinks and a huge window that lets in all kinds of natural light. It’s a wonderful retreat." Kehler says the eight-year-old home’s exceptional quality, design and location make it a viable alternative to buying new. "This home is priced well under replacement value, it would cost over one million dollars if you built it today. 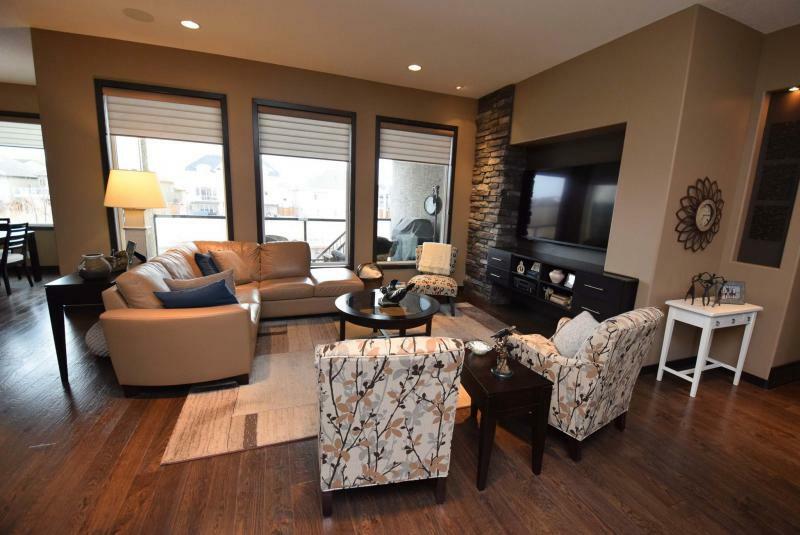 It’s in show home condition, and comes with other desirable features such as a structural wood basement floor, insulated garage with in-floor heat and a location that’s in the catchment area for South Pointe School. "It’s ready and waiting for a family to enjoy." Open House: Sunday, Dec. 2, 1 p.m to 2:30 p.m.